A full face helmet covers the entire head, with a rear that covers the base of the skull, and a protective section over the front of the chin. Such helmets have an open cutout in a band across the eyes and nose, and often include a clear or tinted transparent plastic face shield, known as a visor, that generally swivels up and down to allow access to the face. Many full face helmets include vents to increase the airflow to the rider. The significant attraction of these helmets is their protectiveness. Some wearers dislike the increased heat, sense of isolation, lack of wind, and reduced hearing of such helmets. 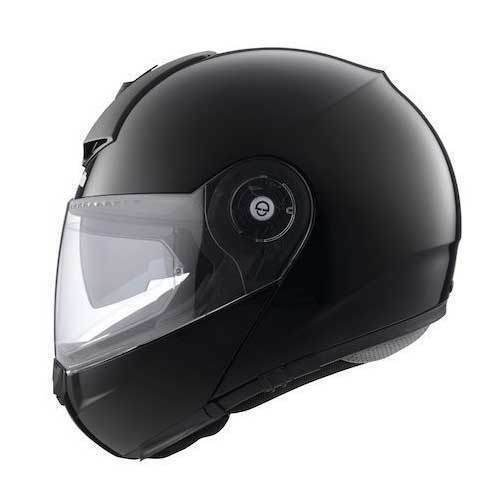 Full-face helmets intended for off-road or motocross use sometimes omit the face shield, but extend the visor and chin portions to increase ventilation, since riding off-road is a very strenuous activity. Studies have shown that full face helmets offer the most protection to motorcycle riders because 35% of all crashes showed major impact on the chin-bar area. Wearing a helmet with less coverage eliminates that protection — the less coverage the helmet offers, the less protection for the rider. We, R.S. Enterprise from 2016 are an ISO Certified Company and famous amongst the esteemed wholesaler trader and service provider of an exceptional quality assortment of Fire Fighting Equipment. Offered products range consists of Fire Fighting Equipment, Fire Alarm, and Smoke Detector. The offered range is designed at our vendor’s end under the supervision of quality controllers. These products are known for their flawless finish, easy usability, lightweight, damage resistance and durability. Also, we are offering Fire License Services to our valued clients. We believe in practicing business ethics in true spirit. We collaborate with our patrons and ensure their satisfaction at highest levels. The enthusiasm and exploring nature of our vendor’s team enable us to bring innovative designs in our products. Offered products are checked for versatility, durability, power efficiency and functionality before final delivery.